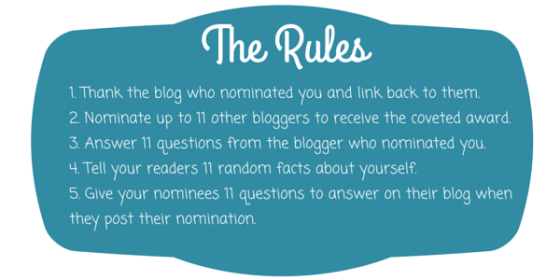 You receive a nomination by another blogger, you can’t nominate yourself. Read the link attached to the post that nominates you. It’s your “how to guide”. Write a blog about accepting The Liebster Award, answer the following 10 questions, and nominate 10 new bloggers. Then you get to change the questions if you wish and write out 10 new questions for them to answer. Obviously, the people aren’t physic and you have to notify your nominees through some sort of social media. Don’t email or private message, this is about building relationships. Did you ever see yourself as a blogger, if not why did you decide to start? What is your favorite person, place, thing, or idea to blog about? Do you keep a schedule, or more of a fly by the seat of your pants writer? What is the hardest thing about blogging, that you didn’t expect to be hard? What are your goals for you blog for the next year? List your three favorite blogs to read. What is the meaning behind your blog title? How long have you been blogging? : I have been blogging off and on since I was about 16 years old. My first one was a very crummy looking live journal. 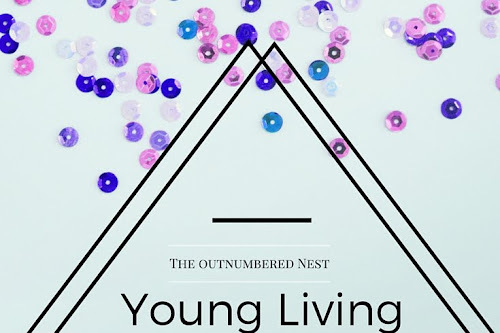 The Outnumbered Nest was only born about a year ago, and it finally has made me feel like I was at “home”. What inspires you? : I get inspired by my children, my husband, the nature that surrounds me. I really try hard to focus on the important, and small things in life that many take for granted. What’s your favorite social media platform and why? : Hands down, Facebook. It’s probably because that is the only one I know truthfully how to do right now. I’m branching out into twitter and others, but it’s a slow process. There are just so many now a days. Who is your biggest supporter? : Most likely my good friend, Sara. She is the only one from almost day one that even knew I had this blog. She has looked at my page many times to make sure it looked okay from her end, and for that I can’t thank her enough. She is always there to bounce ideas off, and she’ll tell me if I’m crazy! Do you have a ‘day’ job? If so, what is it? : I don’t have a “real” job, but I do have a twenty four hour, seven days a week, no sick or holiday pay job. Haha. Seriously, I’m lucky enough to be able to be a stay at home mom right now. It’s hard work, and some days I really miss having a job. It was part of the reason why I started this blog, was to be able to connect to the outside world a bit. I never thought I would really enjoy it as much as I do now. What are your top 3 hobbies, aside from blogging? : Reading. Crocheting. Trying to learn this whole sewing thing. What kind of shoes are you wearing right now? : The perks of being a stay at home mom, I don’t have to wear any! I never wear shoes in the house, when it’s cold I might put on a pair of slipper socks but that’s about it. Do you keep a blogging schedule or just wing it? : I really wish that I was good at a blogging schedule. I try really hard to have one, but the kids and all I just wing it. I am getting better though, I’ve started writing ahead and using that fantastic “schedule post” feature! That saves a lot of time. What’s been the biggest obstacle for you since you started your blog? : My biggest obstacle, beside consistency, is trying to navigate these crazy waters of gaining followers and trying to find out how to do reviews. One day I really hope to get into reviews, but I’m still figuring out how to do that and monetize my blog. I’m slowing starting to get an idea as to where to begin. List your favorite 3 blogs to read: This is easy, I almost stalk these pages haha! The Purposeful Housewife, The Time Warped Wife, and Eccentric Owl. I love colors, but mostly wear black. I am obsessed with owls, and cupcakes. My first son was named after a tv show. My middle name is “Marie” like my mother’s. I have owned pet rats, and I love them dearly. One day I will have another. My biggest fear is change. My youngest has never been away from me for more then 2 hours. That means I have spent 13 months (plus 9 pregnant months) with a child. I have an addiction to collecting coffee mugs and planners. I don’t really drink coffee often. I have a sister who is two, a brother who is almost 21, and my children are 7,4,1! Ahead of Thyme: This girl has some of the most awesome recipes around! Seriously easy and from the one's I've personally tried- delicious! Coffeemugs & Conversations: So not only does she have the cutest name! But she also has the cutest picture of her little on in a sock monkey hat, and well…I have a soft spot for sock monkeys! Days in Bed: After posting that I was going to nominate her, I don’t think she is “technically” new, but I don’t care. I’m sharing her blog anyway! She is a super mom, and everyone needs to know about her! Go Ask Your Daddy: As soon as I was nominated, I knew he would be one of my nominations! This is a daddy blogger that is full of hilarious and more importantly truthful look on parenthood! Check him out!!! Just Me O Maya: Full of fun tips, tricks, and advice this mommy sure knows what she is doing! Married to Restoration: So if you are a fan of home DIY, this right here is your blog! They are literally redoing their home, and she tells the honest truth of it all! Natural 411: A Christian Blogger that also sells some really cute clothing in a more modest fashion! Beautiful soul there behind those words! Short, Broke and Happy: A lifestyle blogger that tells it like it is! 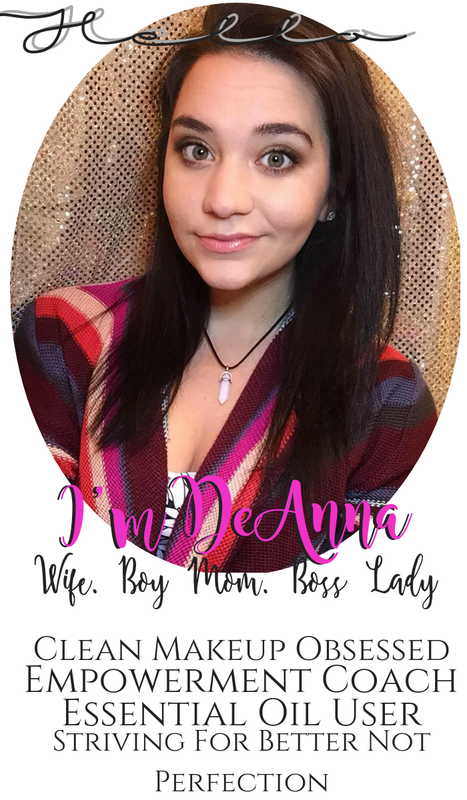 If you are into reading lifestyle blogs, you won’t want to miss hers! SociaLIGHT City: Just starting out, and showing so much potential, I’m wondering if I should even be in the same league as her! She has a fresh look on many new aspects. This is great for the younger reader, as well as the older reader. 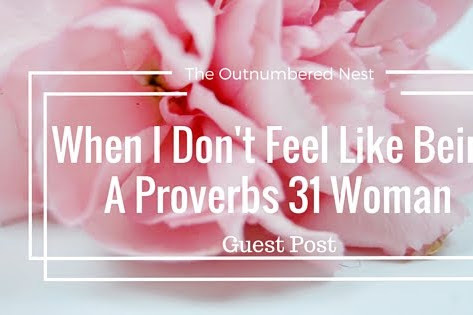 The Okayest Mom Blog: The name of her blog says it all. A mom blogger that is super sweet, and full of details. 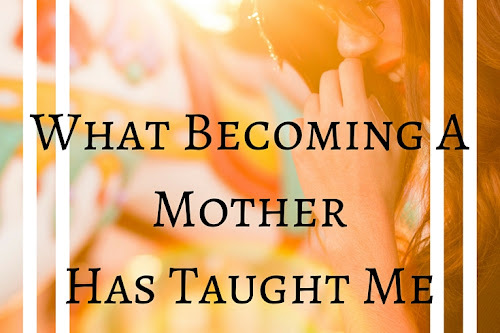 She is striving to be the best mommy she can be, and that’s really all any of us can do!